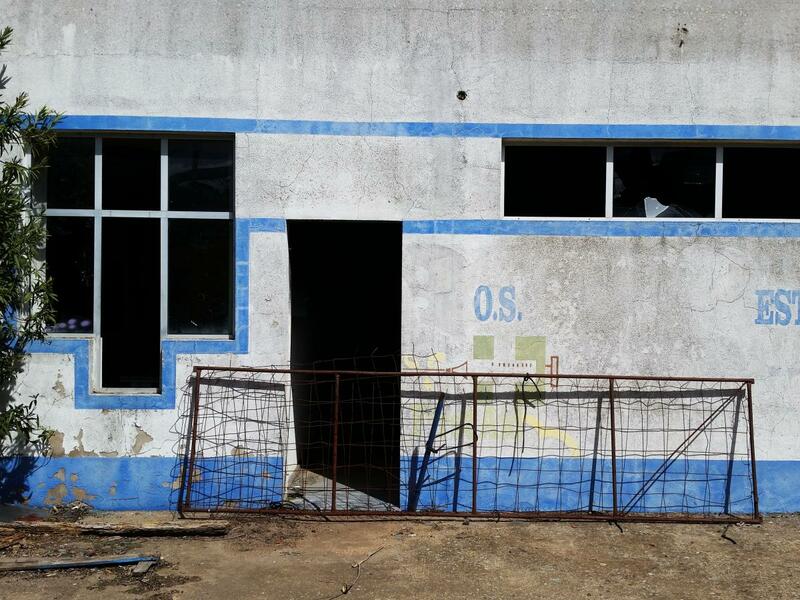 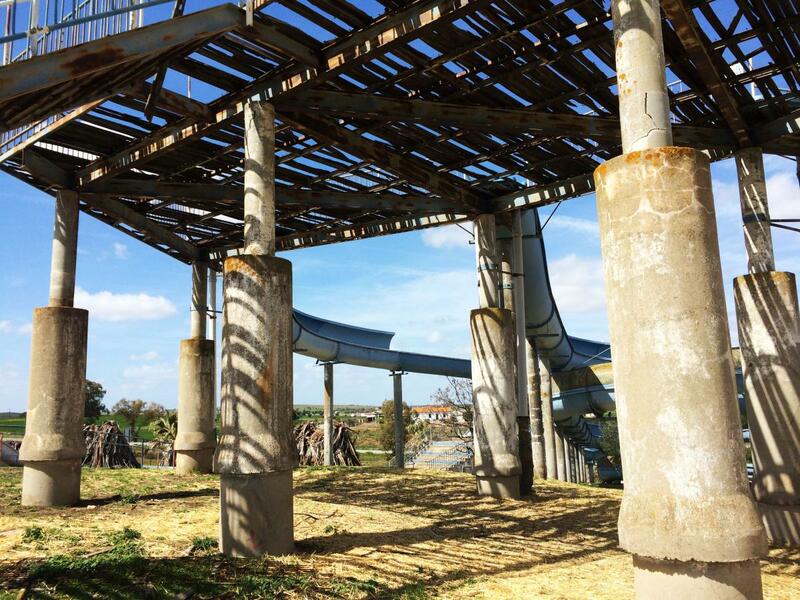 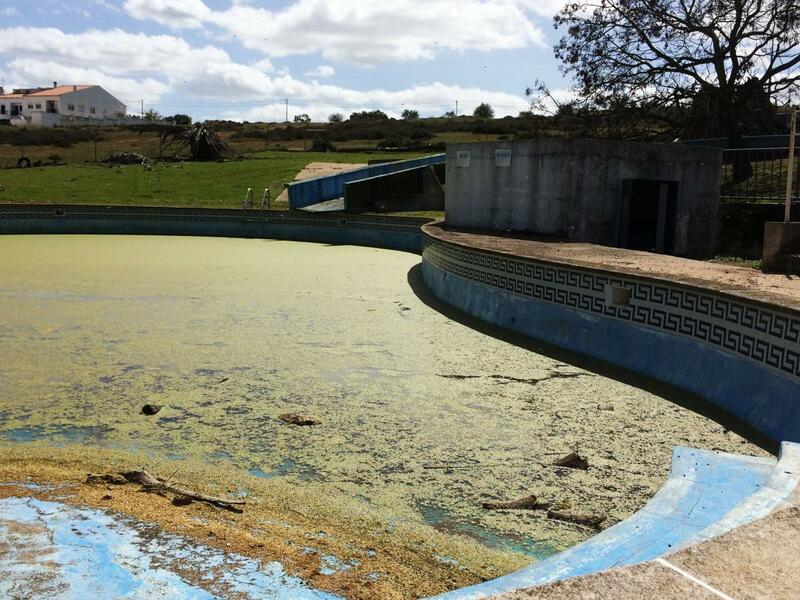 About 5km outside of Beja in the Alentejo sits the ruins of the former summer waterpark Beja Aquatica. 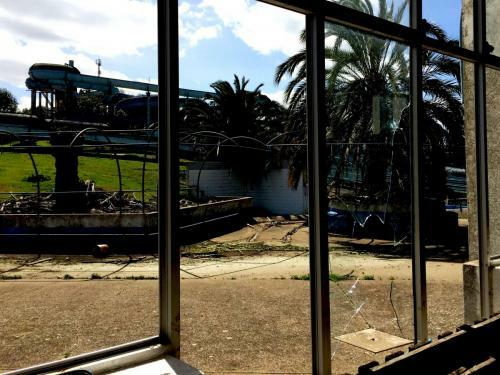 The park, allegedly owned by a builder from the Algarve, was in operation for only three years and promptly shut down, according to an article published in April 2014. What is left is easily accessible to curious road-trippers and ruin-hunters, though some areas should be explored with care…and a camera. 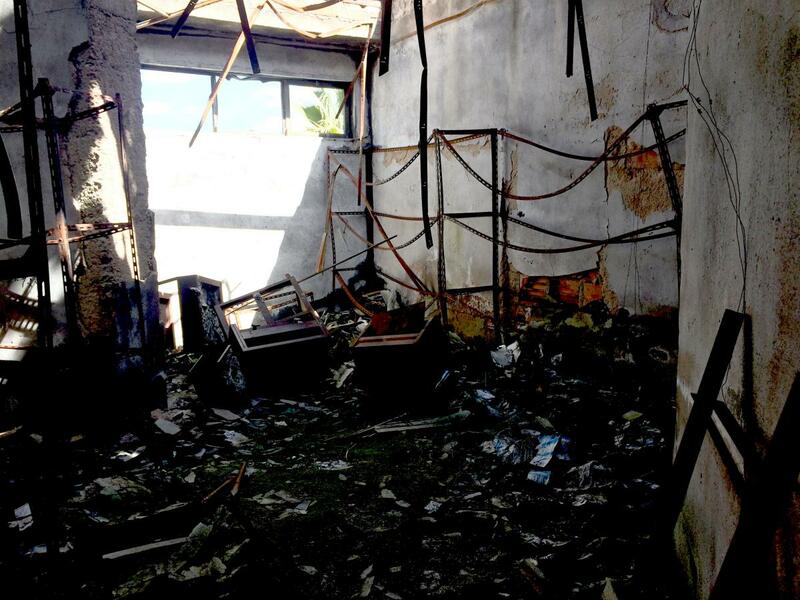 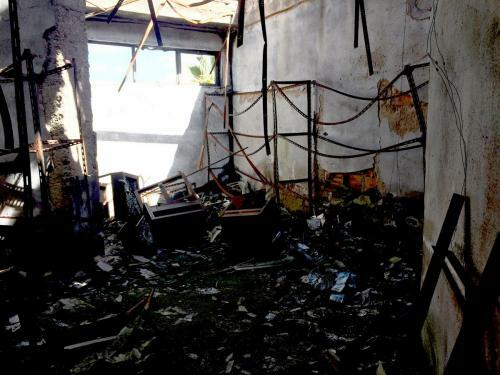 According to the GNR and the Bejo Bombeiros, a fire that was started by three young men in 2014 caused the roof on one side to cave in; the arsonists had set a squatter’s mattress on fire. 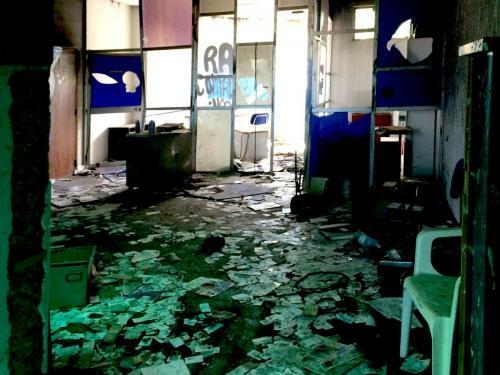 No arrests have been made to date. Ever since the fire, the Aquapark has stayed out of the news. 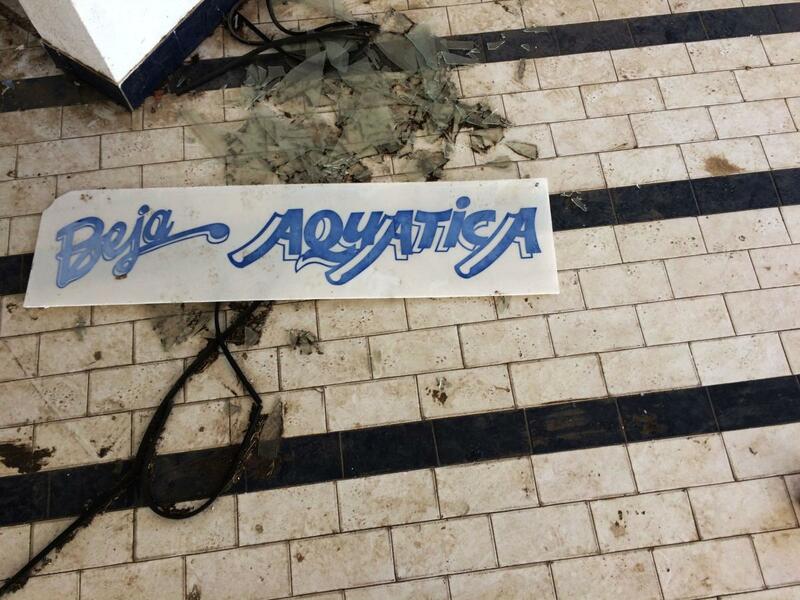 Local Lisboeta Helder Nogueira, however, is attempting to keep the past alive with the Beja Aquatica facebook page. 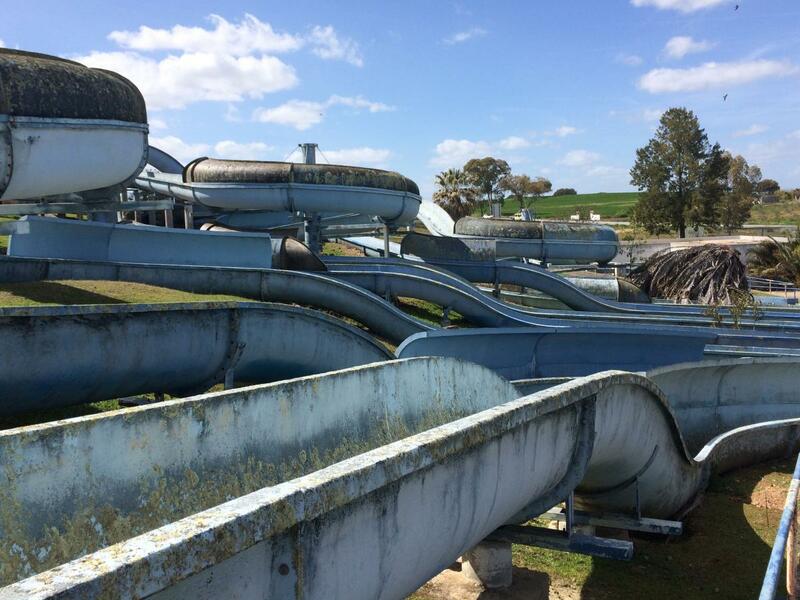 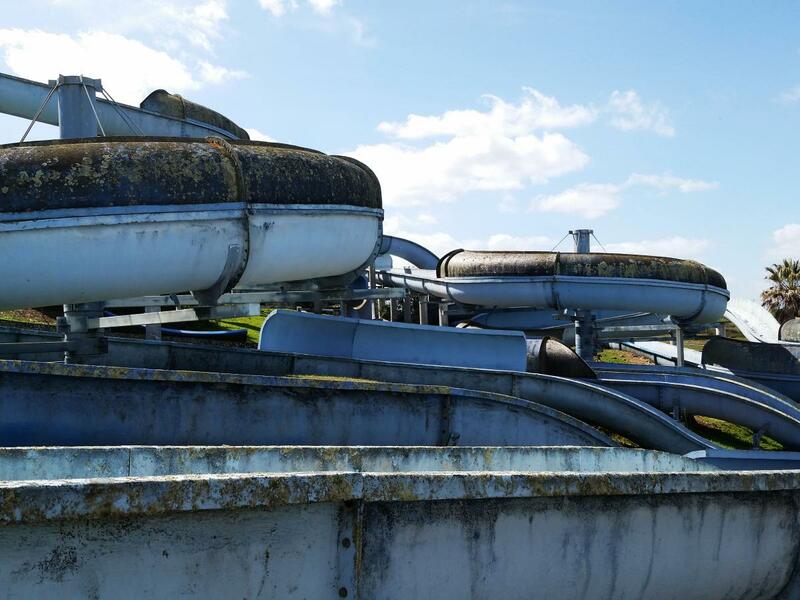 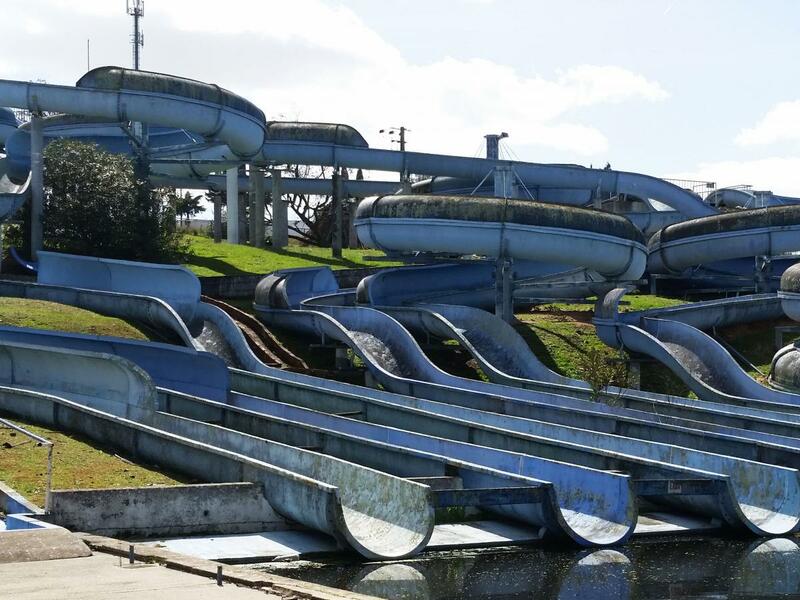 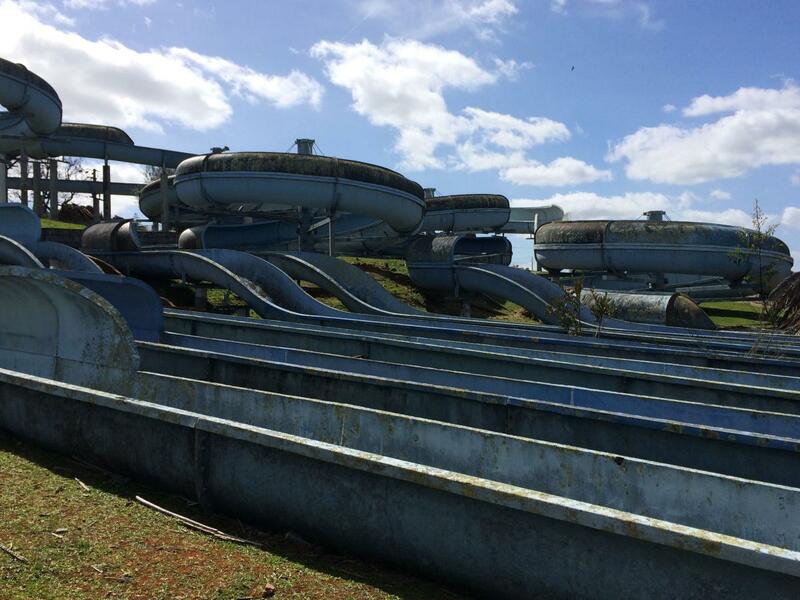 This is alongside pages on some of the other closed waterparks around Portugal, like the Ondaparque, Portugal’s largest waterpark from the 1990s located in Quinta de Brielas, Costa da Caparica. 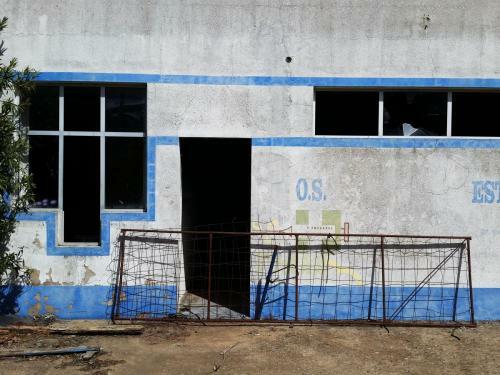 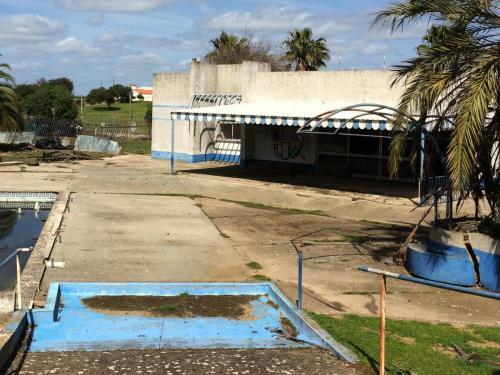 According to the Jornal de Notícias,Beja Aquatica has been closed for around 35 years, but Nogueira tells Atlas the park only opened in 1989 and was shuttered in 1992, which, from the looks of it and the font styling in the cafeteria, seems about right to us. 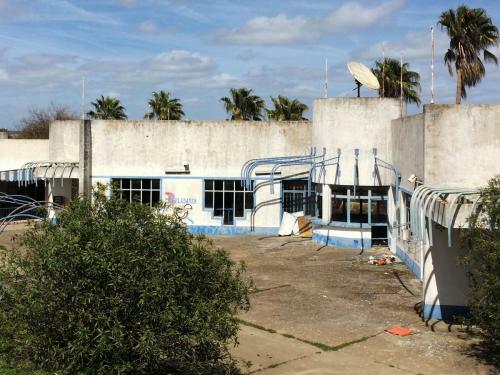 The original plans included the subsequent construction of a tourist complex with hotels, but that plan never materialized. 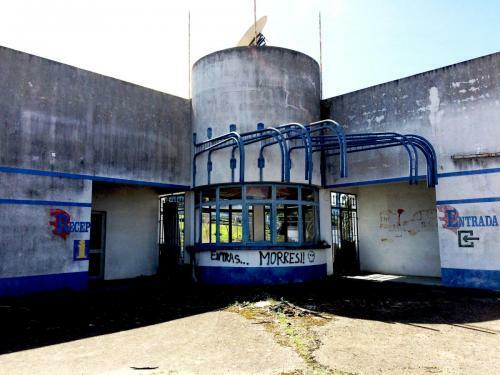 But why did it close in the first place? 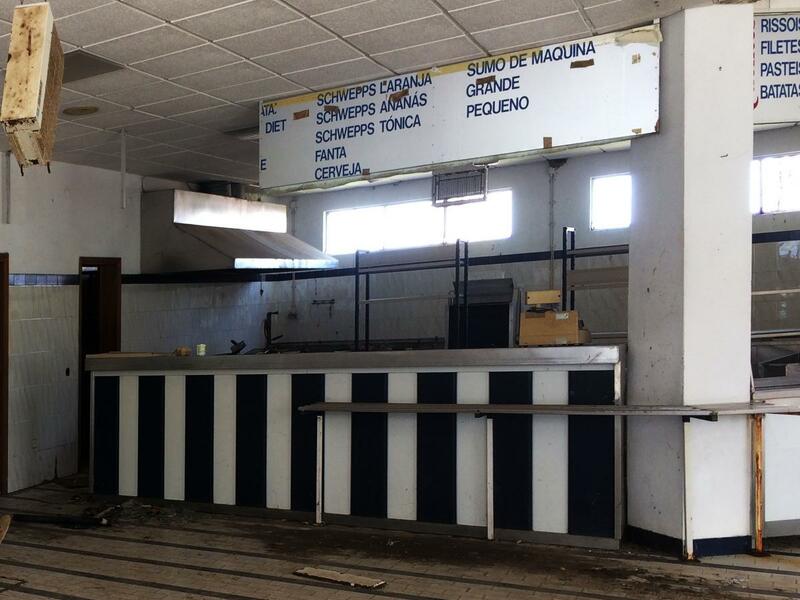 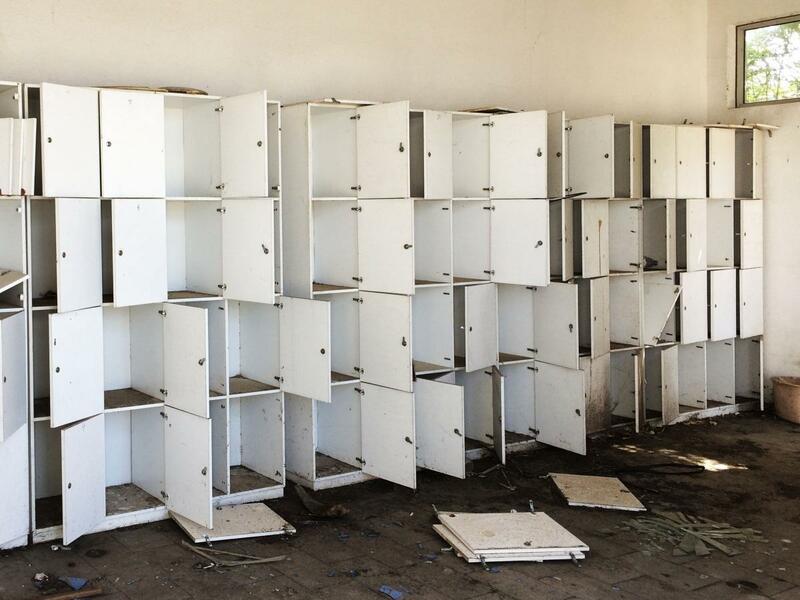 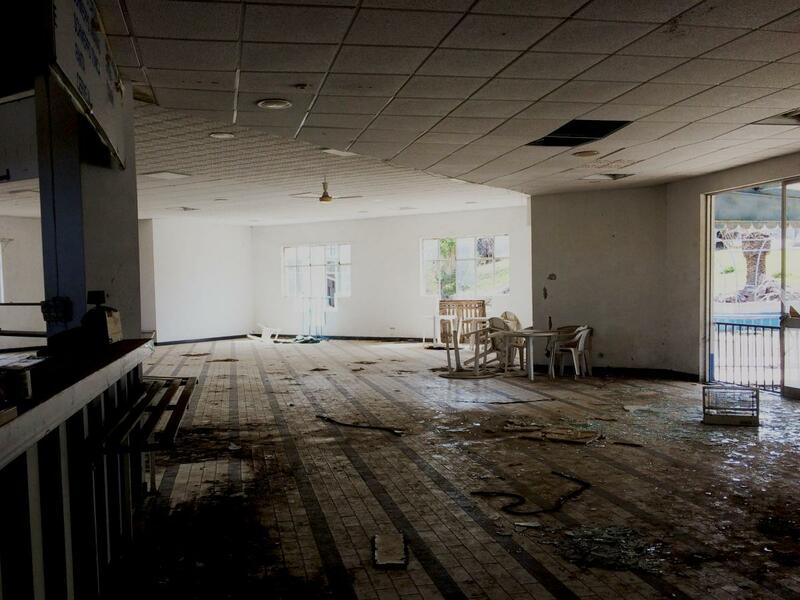 And so the ruins sit there, a cafeteria that seems like it could be operational again in a matter of weeks, lockers forever emptied of sunscreen and flip-flops, and mossed-over slides that look as if they could be cleaned and repaired in no time by anyone who might take an interest. The shame of it is, it seems like no one ever will.